Welcome to the Cricut Christmas Challenge where 11 bloggers are sharing Cricut projects to inspire you this Holiday season! 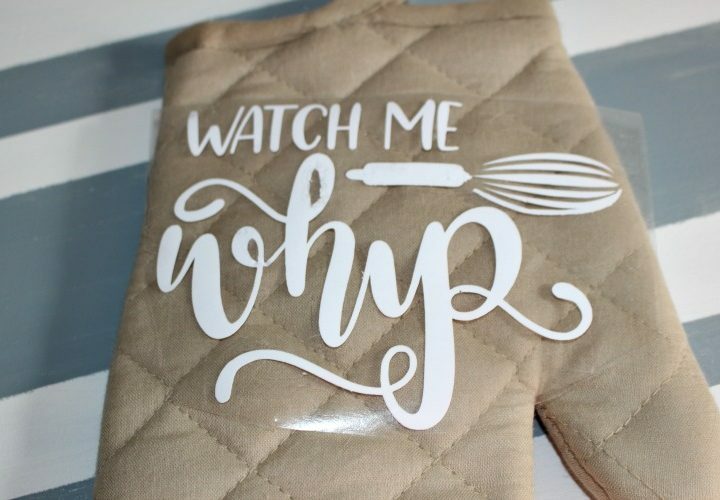 I love to make small gifts for neighbors, co-workers, etc so I made this super cute Watch Me Whip – Oven Mitt Gift Idea. How many of you sang this song in your head when you saw this? I have been singing it all weekend! OK, enough of that. 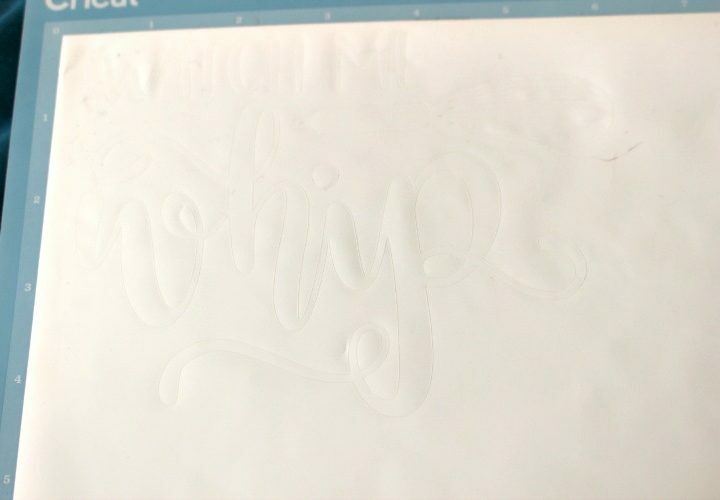 Let’s get to the Cricut fun. Let’s face it, sometimes you want to get a little something for someone, but don’t have the budget for a huge item. 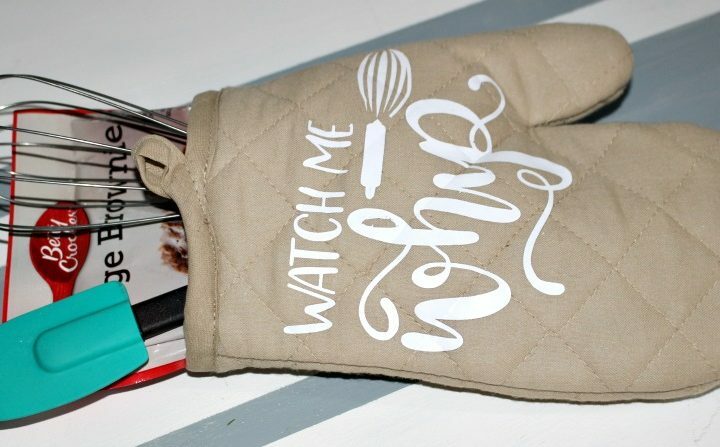 This Oven Mitt filled with baking goodies is a perfect gift idea for teachers, co-workers or maybe even a hostess gift for a Holiday party. 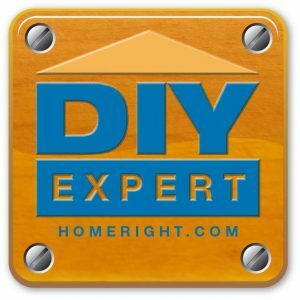 Tan Quilted Oven Mitt – Be sure to check out the Dollar Store! 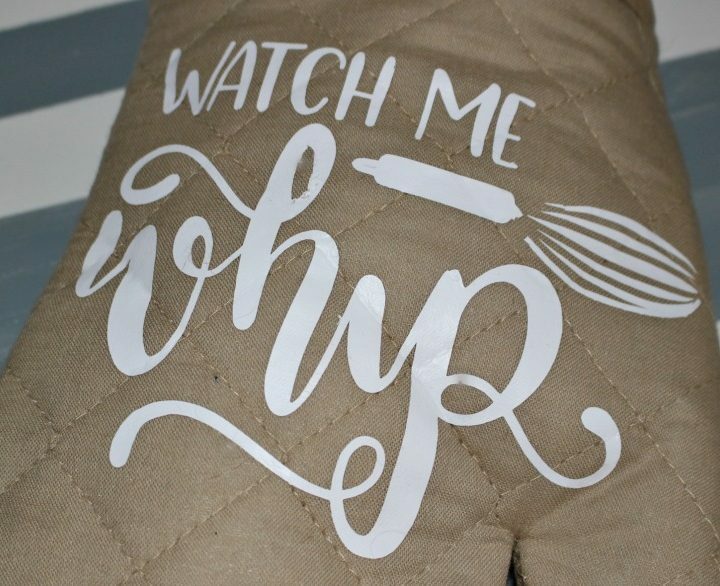 One of the things I love about owning a Cricut is you can add any quote that you want to t-shirts, pillows or in this case, oven mitts. I found this free svg on Pinterest from Love SVG. 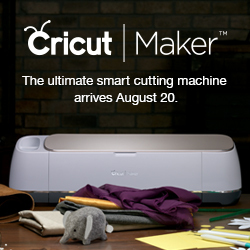 Simply download the image and upload it to the Cricut Design Space™ app. 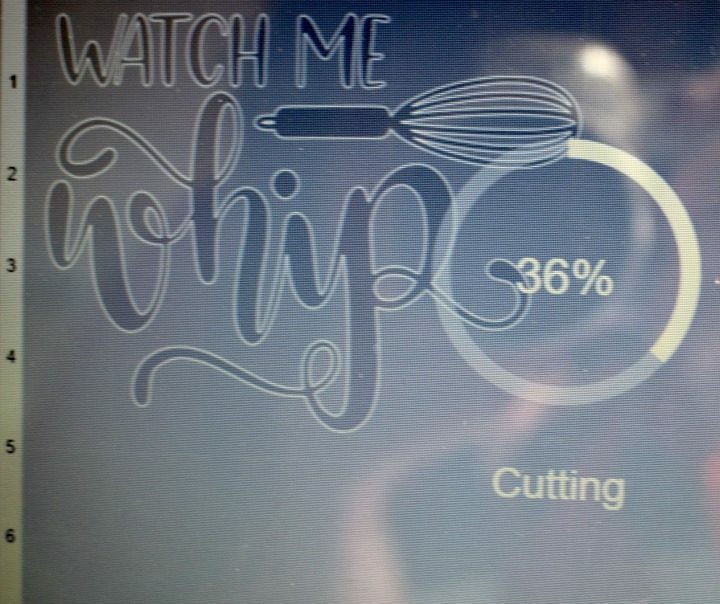 Be sure to set your Cricut to mirror image so the words don’t print out backwards-I may have done this once or twice. Also, lay the shiny side down. Next up-get the handy weeding tool ready to remove the vinyl around the text. Then just lay the vinyl where you want it to go on the oven mitt. I love that the text is angled so I didn’t have to worry about getting it straight. I hate having to line things up! 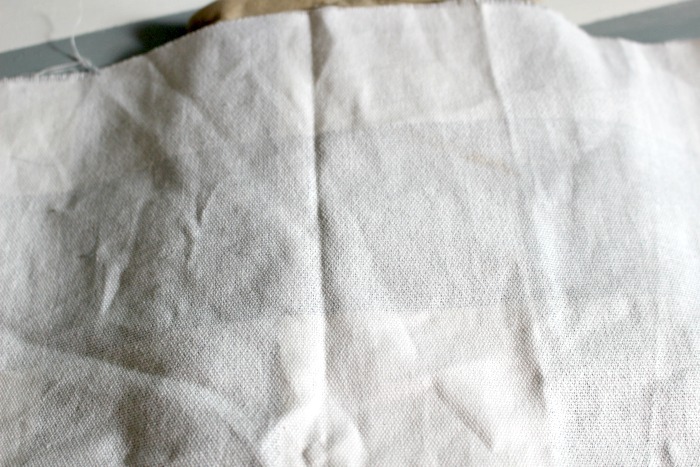 Lay a thin piece of fabric over the vinyl and use your easy press-if you are lucky enough to own one. I’ve already asked Santa for one! If not, you can use an iron like I did. Be sure to hold the iron steady and not move it across as you don’t want the vinyl to move before it’s set. 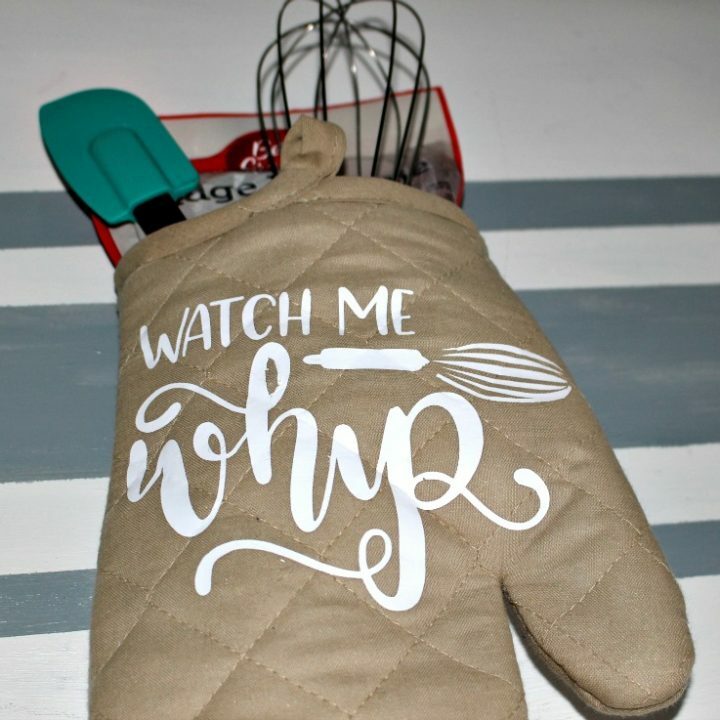 Now just fill the oven mitt with brownie or cookie mix, a spatula and of course a whisk! My daughter has already put in a request for several of these for her co-workers who love baking. I tried to get her to dance the Nae Nae with me, but she was not having it! If you wanted to add a little something extra, you could include a gift card as well. 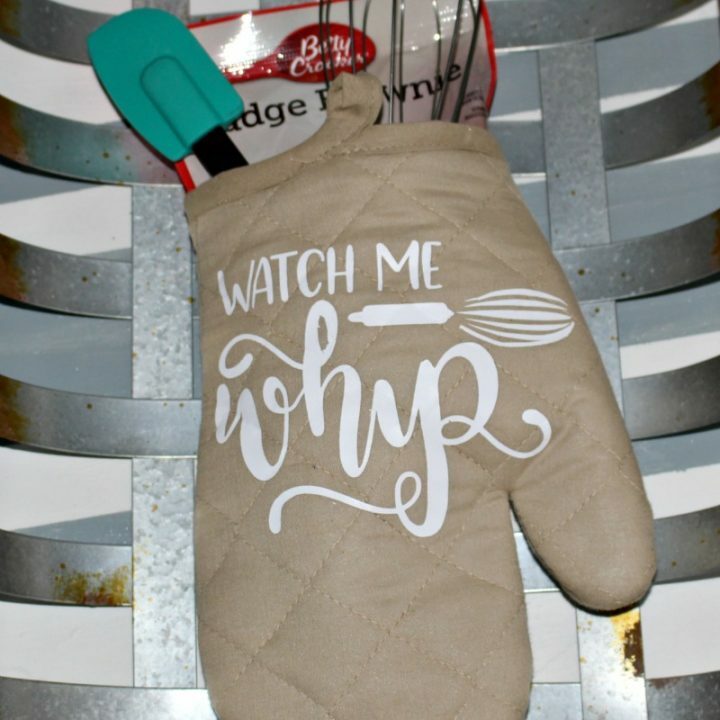 If you can find the oven mitts at the Dollar Store this adorable gift idea can be made for under $10. I hope you enjoyed this post. If you are a fan of the show This Is Us, check out the T-Shirt I made here. 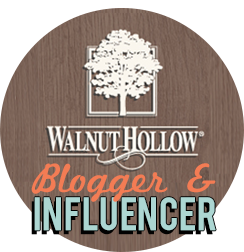 I hope you will visit the talented bloggers below to see their Cricut Christmas projects. So many cool ideas! Adorable oven mitt! 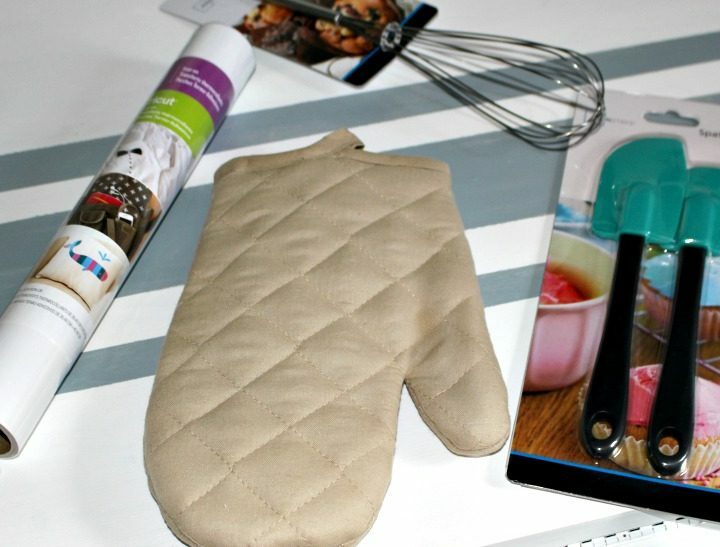 It makes such a great gift for someone who loves to bake. This is a great gift idea! 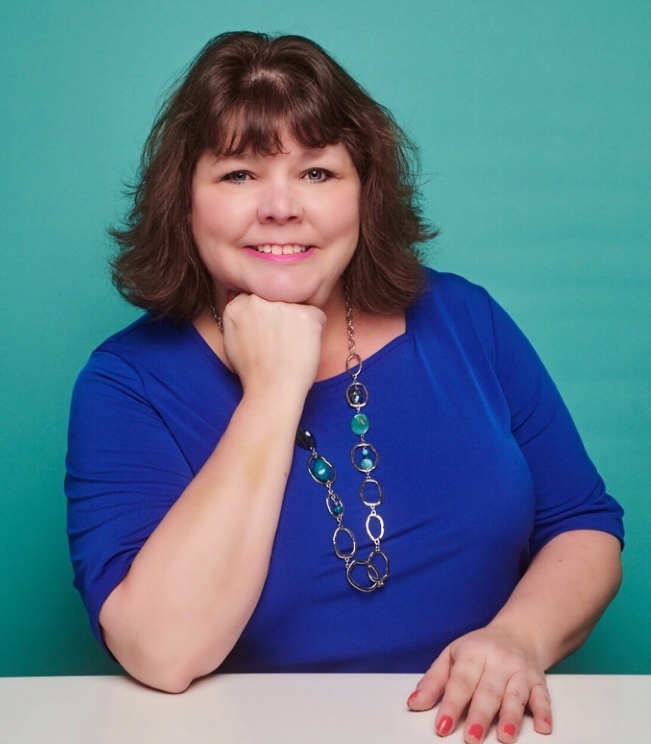 I love how you can customize plain items to make it more special! Such an adorable gift idea! Pinned.